Cruising can be a great way for people with mobility issues or chronic illnesses to travel since much of the transportation is taken care of for you. But there are still important things to consider when planning a cruise if you have a chronic disease or medical condition. Our latest guest author, Jenny, offers first time cruising tips for people with chronic diseases including how to choose excursions. My mother and I share the same two rare diseases – Familial Adenomatous Polyposis (FAP) and Short Bowel Syndrome. Sharing the same diseases means we often share the same symptoms and effects of our diseases. We often experience fatigue and we both endure chronic pain and over the last few years I also started having chronic nausea. Short Bowel Syndrome requires us to have regular access to restrooms and our activities are affected by this requirement as well as the nausea, pain, and fatigue. 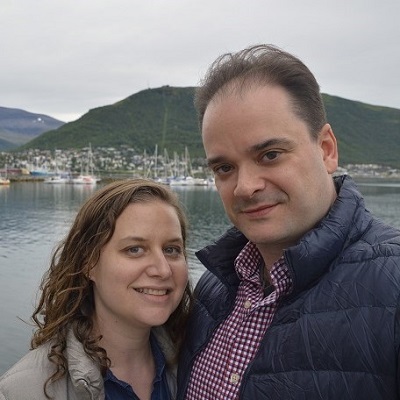 In spite of the difficulties and some limitations, we both enjoy traveling and were fortunate to be able to partake of an Alaskan cruise. We traveled around Alaska and docked in the ports of Juneau, Skagway, Icy Strait Point, Ketchikan and Vancouver, British Columbia. We flew into Anchorage and explored the town before driving to the departure point in Seward. There we explored the area of Seward around the pier before boarding the cruise ship to take us the rest of the way. For any trip away from home my mother and I have to take into consideration our medical and medication supplies, restroom access, and activity level. The cruise was seven nights which meant my mother would need to change her ostomy appliance at least once while on the cruise. Ostomy wear time has always been unpredictable for my mother and this would require her to bring ample supplies for changing her ostomy appliance should she experience any leaks outside of her normal wear time. We both take a lot of medications daily which would need to be brought along with us as well. This would also mean we needed to be sure we allowed enough space in our luggage for all of our medications and supplies. We secured an outer room with a window that had one bathroom. Cruise ships are several decks high and each deck is a large and long area. Fortunately, there are plenty of restrooms among the decks so we never had to go terribly far for a restroom when outside of our room. We would only need to be concerned about restroom access outside of the cruise ship. There are always a multitude of excursions to choose from for each destination along a cruise. All of the excursions always sound interesting but due to our health limitations, we are not able to participate on all of excursions that we may like to book. It isn’t the easiest to decide which excursion would be appropriate for our health needs due to limited information and if we haven’t been to the destination we do not know what is around or available. It’s a guessing game that we play as best as we are able to with the information available and knowing our own limitations. Due to this, we chose our excursions carefully to ensure we would be able to enjoy and participate in activities. For each day off the ship, I was sure to take my Lomotil medication to slow my bowels to allow me greater freedom to participate in activities with less frequent restroom access required. Although the Lomotil allows me this greater freedom it also has increased risks of abdominal discomfort and intestinal blockage due to the slower GI transit time and so I must be careful with the administration of this medication to balance the benefits and risks. Even with the Lomotil, I have to also take into consideration what and when I eat so as not to offset the Lomotil and risk more interference with activities due to restroom necessity. We enjoyed a whale watching tour in Juneau upon a boat with a restroom and visited a national park to see a glacier. In Skagway we took a train ride through the White Pass Yukon Route which also had a restroom aboard. At the Icy Strait Point in Hoonah, we went on a cultural and nature walking tour. Icy Strait Point is a small area and there were several restrooms available at the pier. I would only be without a restroom during the tour and if necessary, I could leave the tour and return to the pier with ease. In Ketchikan I enjoyed snorkeling and seeing a multitude of marine life. Fortunately, a van took us from the pier to a building with restroom access to change into wetsuits so I was able to have restroom access prior to and following snorkeling. On our last day we docked in Vancouver and went on a bus tour around the city before returning to the airport for our flight. We had a late flight so I was surprisingly able to walk 5 miles through the city to find the Hard Rock for a shirt to add to my collection. Due to my Short Bowel Syndrome even with Lomotil medication, I never know if I’ll be able to walk for such a distance without regular restroom access available. The uncertainty of public restroom access in unfamiliar cities is always a concern for us. We picked our excursions well and took the necessary steps that we could to prevent issues and so we were able to fully enjoy our excursions and the cruise itself. This had been my mother’s first cruise and my second. I had her hooked and now we’re looking to a longer Hawaiian cruise next. FAP is a rare, genetic disorder that causes hundreds to thousands of precancerous polyps to grow in the colon and throughout the GI tract. My mother was diagnosed with colorectal cancer resulting in the removal of her colon and some of her small intestine causing Short Bowel Syndrome and additional complications to occur. I also had my colon and part of my small intestine removed due to the polyps beginning to turn cancerous. Short Bowel Syndrome causes both of us to experience a fast GI transit time and chronic diarrhea that interferes with the absorption of necessary nutrients. My mother has an ileostomy and I had an ileostomy for six years before having it reversed. Jenny shares her experiences with rare disease and chronic illness on her blog Life’s a Polyp. In spite of health challenges, she’s obtained a Masters in Social Work and works full time as a Dialysis Social Worker. Family and maintaining independence are the most important priorities for Jenny – which can be a challenge with chronic illness but she tackles each challenge as its presented. Follow Jenny on Facebook, Twitter, Instagram, YouTube, and Pinterest. Thank you Jenny for sharing your experience! It’s admirable and heroic to do what you love despite health limitations. I don’t have a chronic illness, but I’ve experienced being very sick on the road (salmonella, parasites, etc..) and those were some very dark hours. Keep traveling and keep sharing your journey! Jenny, you are a brave soul. I love that despite your chronic disease, you continue to live life to the fullest. That is so inspiring to the rest of us. Thank you for your insightful article.